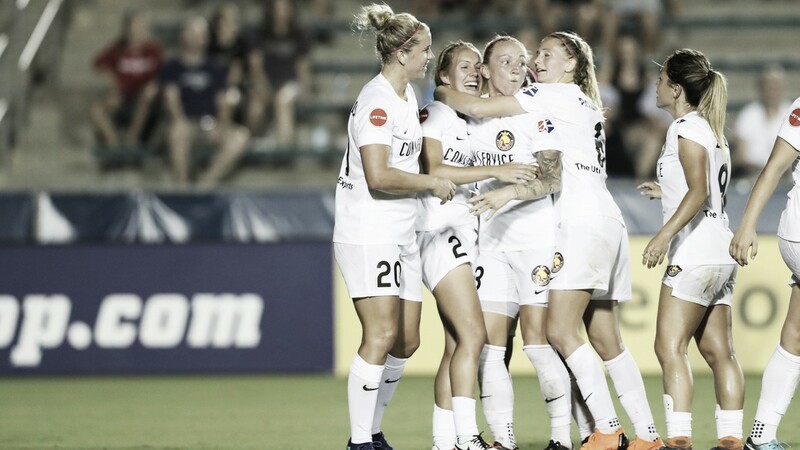 The Utah Royals defeated the North Carolina Courage 1-0 with a late game winner in second-half stoppage time. North Carolina Courage: Rowland; Hinkle, Erceg, Kurtz, Mathias; Debinha, Zerboni, Mewis; Dunn, Hamilton (O'Sullivan, min. 59), McDonald (Williams, min. 72). Utah Royals FC: Smith; Moros, Corsie, Sauerbrunn, Bowen; Jonnsdottir, Scott, Matheson, Gorry (Ratcliffe, min. 77); Stengel (LaBonta, min. 68), Rodriguez (Thorsnes, min. 84). SCORE: 0-1, min. 90 + 4, Ratcliffe. 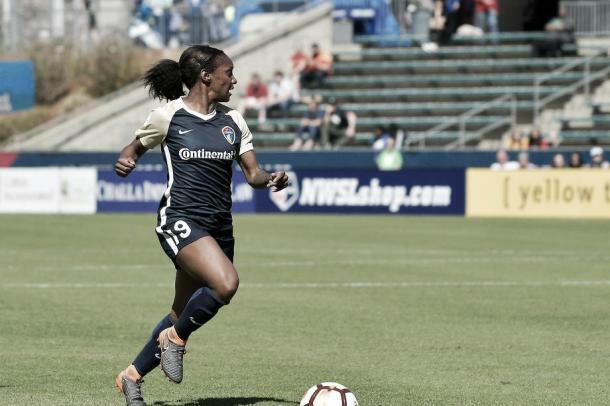 The Utah Royals FC stunned first-place North Carolina Courage to hand the Courage their first loss of the season, ending their 12-game unbeaten streak. Second-half substitute Brittany Ratcliffe scored the late game winner in the fourth minute of stoppage time to give the Royals a 1-0 win and all three points. The Royals move into a playoff position with 17 points and a 4-2-5 record. The Courage stay in first place with 30 points and a 9-1-3 record. They also fall short of the 16-game unbeaten streak that Seattle Reign FC had in 2014. Still, North Carolina is 11 points clear of second place as they head into the second half of the season. The Royals were stuck playing defense for most of the game. North Carolina lead the match on shots 15-8 and shots on goal with 4 to Utah’s 3. They lead on corner kicks, earning four to Utah’s one and dominated crosses, completing 29 while the Royals only had eight. Possession was slightly less lopsided with the Courage earning 55.7% to the Royals’ 44.3%. Utah’s defense was kept busy for most of the match. The team record 36 clearances while North Carolina had just seven. Royals goalkeeper Abby Smith came up big recording four saves to earn her fifth shutout of the season. North Carolina came close to scoring in the 69th minute but were denied by the crossbar. Courage midfielder Debinha sent the ball into the box to Denise O’Sullivan who took a volley, but the shot was too high, bouncing off the cross bar. The match looked like it would end in a scoreless draw until some late game magic from Utah. In the third minute of second-half stoppage time, Utah forward Elise Thorsnes earned a free kick on the left week due to a foul by Courage defender Merritt Mathias. Midfielder Diana Matheson sent the ball into the box where it bounced off of a couple Courage defenders. The ball landed to Ratcliffe who had her first shot blocked, but she turned and shot the ball, sending it past Courage goalkeeper Katelyn Rowland sealing the 1-0 win for the Royals. The goal for Ratcliffe was her second of the season. Her first one came in April in a 2-2 draw against the Courage. North Carolina will look to bounce back from their first loss as they travel west to take on the Reign Saturday June 23. Kickoff for that match is scheduled for 1:00 p.m. PT. Utah will look to stay in a playoff position as they continue their road trip to the Chicago Red Stars Saturday June 23 at 7:00 p.m. CT. Both of those matches will be streaming live on go90.com or the go90 app available for download on iOS and Android devices.